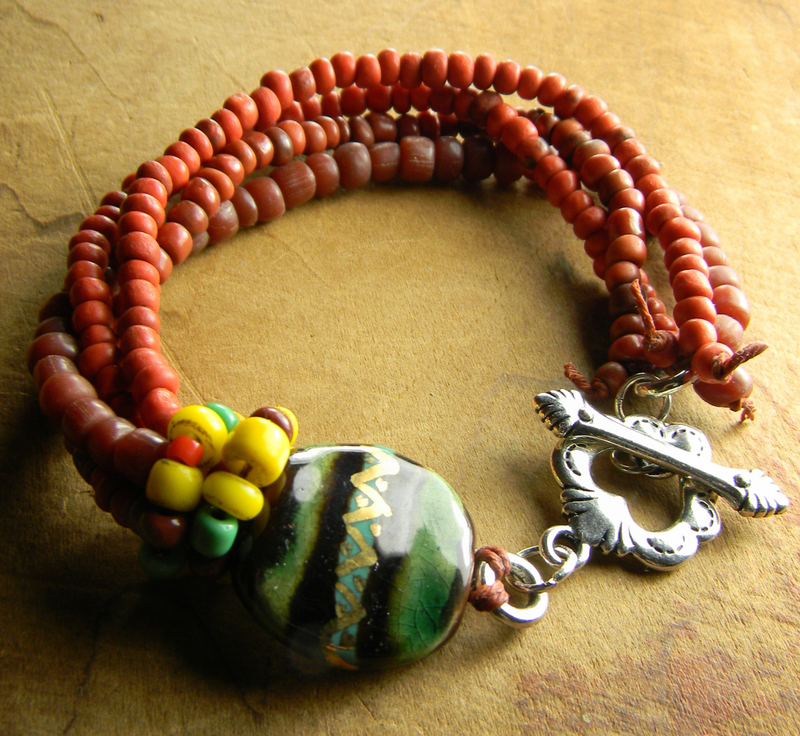 Mexican folk art jewelry collection, featuring this multi-strand bracelet in red, green and accents of yellow. 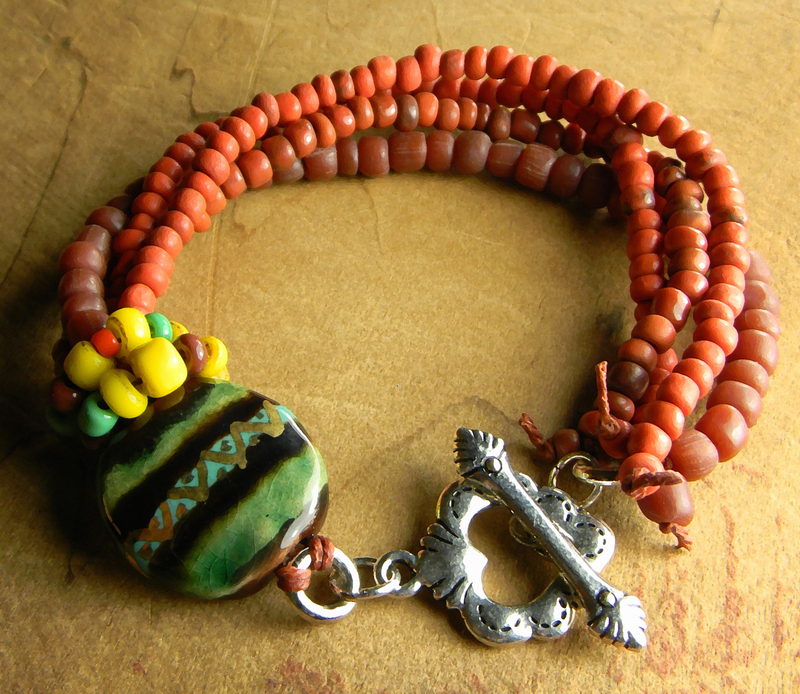 Four strands of trade beads are joined to a green and black glazed artisan Kazuri bead and two tiny rings of vintage trade beads in yellow and other bright colored seed beads. The closure is a Sacred Heart design (popular in Mexican religious imagery) toggle in silver pewter. 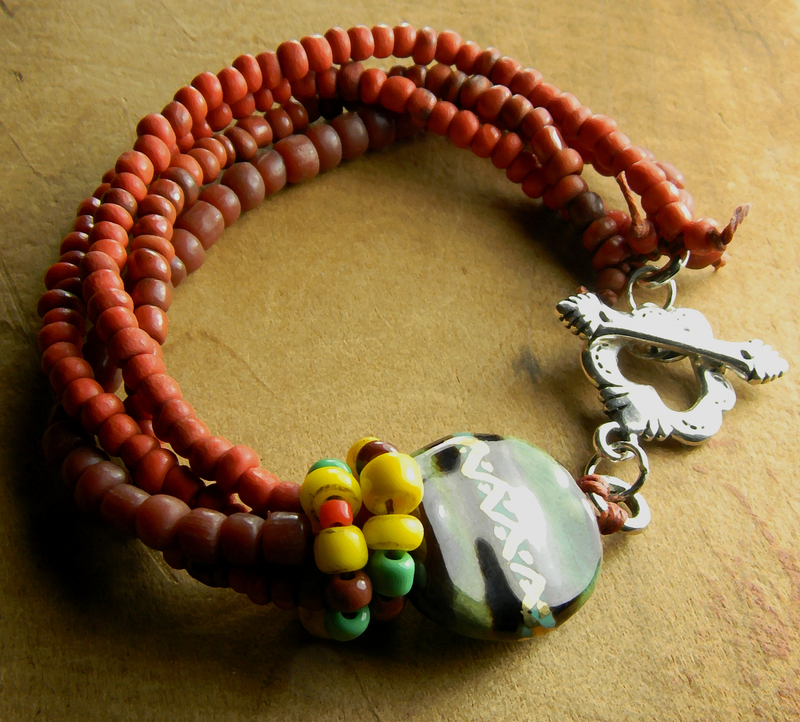 The bracelet is designed to fit best on a 6 to 6.5 inch wrist.